Self-Service Savings Without Hang-Ups? We Can Speak to That. 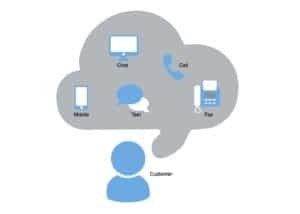 VCloud’s Omni Channel IVR gives you the freedom to automate and control your most critical customer touch point or business processes over the phone without having to manage complex telephony infrastructure. Includes inbound and outbound calling, SMS (text messaging), chat, mobile, email, and fax. You determine which channels you want to keep or have VCloud provide them all. We will connect them for truly Omni Channel customer experience. We start by discussing the problems we are trying to solve. 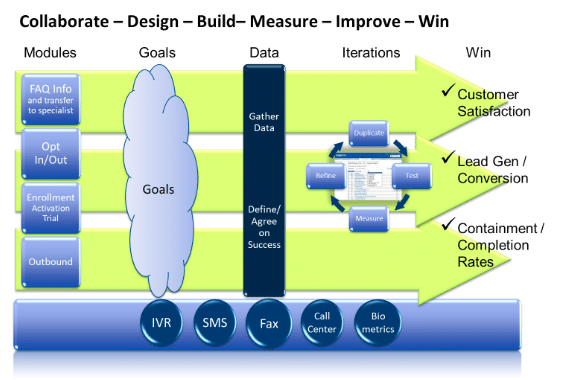 The framework for applications is designed around these goals. We do not use technology for technologies sake, but when the goals can benefit from certain technologies, VCloud has an unmatched arsenal at its disposal.